I just received my Google Glass today! 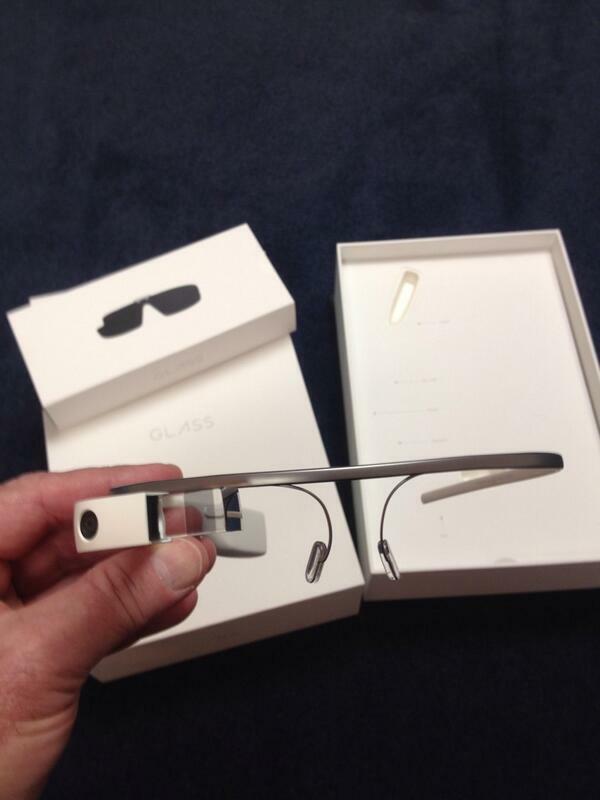 Here is what Google Glass looks like coming out of the box. Unboxing them was simpler than what I anticipated. Now on to Google Glass usage! This entry was posted on February 28, 2014 at 10:59 am and is filed under Google Glass. You can follow any responses to this entry through the RSS 2.0 feed. You can leave a response, or trackback from your own site.